Earlier this year I received this photo from my friend Mike Robbins. This is one of the photos taken by Mike’s former colleague at the Naval Base, Ray Kirkman, in the 1960s. 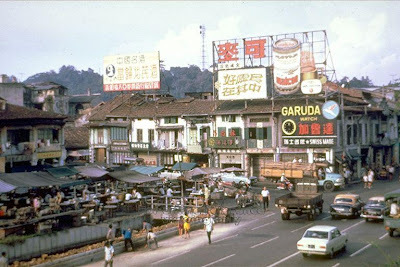 Ray was a keen photographer who took many photos of Singapore during his free time. 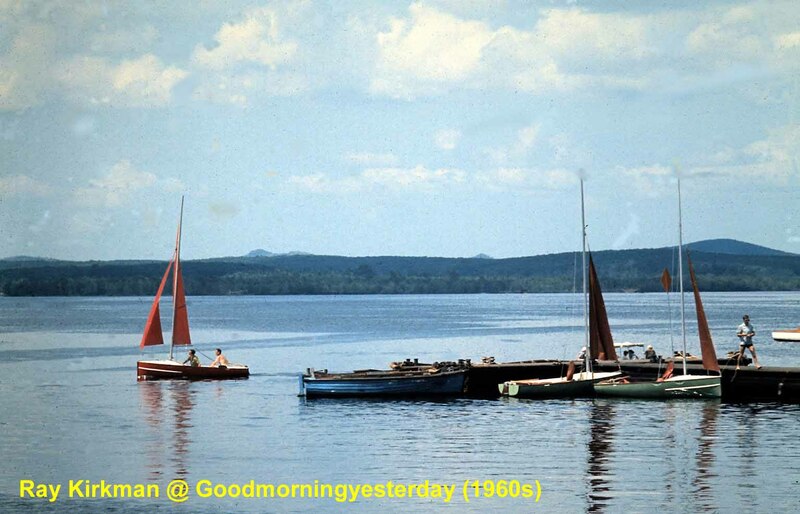 His son Peter has kindly forwarded some of them to Mike to share with us here on Good Morning Yesterday. Last week, I received the sad news that Ray has passed away at the age of 87. His legacy lives on here at Good Morning Yesterday. As usual, the first person to identify this place gets a free copy of my book Good Morning Yesterday which is now available only at Kinokuniya @ Orchard and a few other book stores (too lazy to keep track which ones) as well as Haf Box and Betel Box (see side bar). In GYM Book Contest #5 (03 Feb 2013), I posted an old photo of Yung An Rd which was given to me by my friend Stephen Lai. 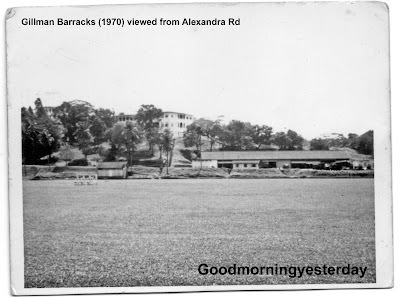 He is able to recall now that he took this photo some time in 1971 from Blk 118. 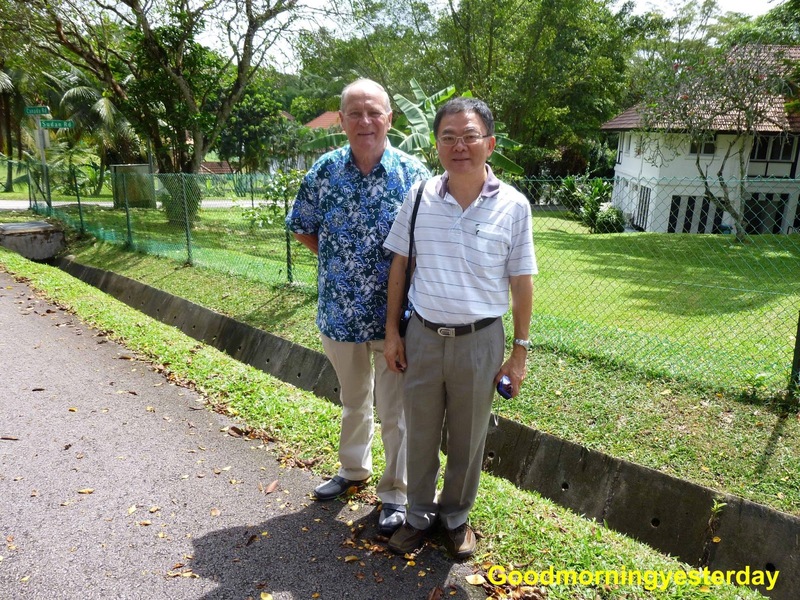 At that time, he and other pioneer members of our church met regularly for Bible Study at the home of our former (3rd) pastor, Rev James Chan. 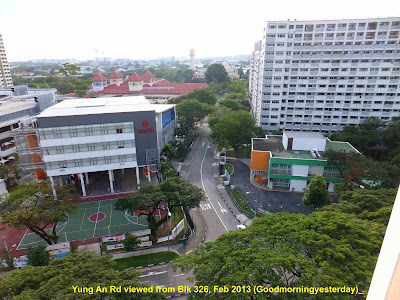 At that time, our church, the Calvary Bible-Presbyterian Church at nearby Tao Ching Road was still under construction. For comparison, I tried to take a photo from the same spot, but it was difficult because the view was blocked by some trees; and hence I had to make do with one taken from the top floor of Blk 118 and another from Blk 326. I believe the building under construction in the old photo was the Chase Manhattan Bank. This bank has long ceased to operate in Singapore, and the building is now being operated by some kind of play school. 50plus EXPO 2013 - Live Well, Celebrate Life! 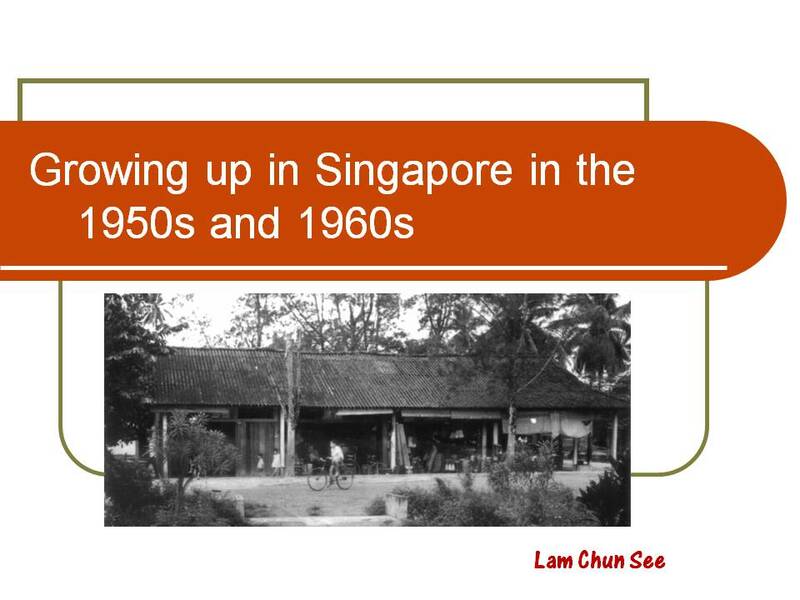 I will be giving a talk and slide show this afternoon at the 50plus EXPO 2013 at Singapore Expo, Hall 6. Do come and join me for a trip down memory lane. This expo will run from today to Sunday. Details here. I stumbled upon your blog when I surfed for articles for 35 SCE. Your blog is an excellent piece of work that let people like us take a nostalgic walk back to a much beloved past existence. Allow me to introduce myself and you will understand why your blog resonates so strongly with me. I was born in 1951 and enlisted for NS in 1971. 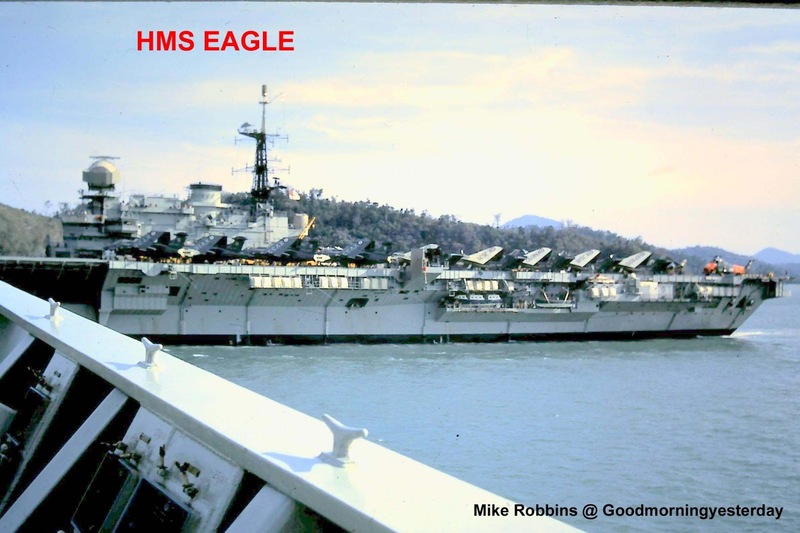 I took the 4th Combat Engineers Officers Cadet course (later on, they started referring to it as the JOE course, but not during my time)I was commissioned in September 1972 and took my first batch of recruits on Pulau Blakang Mati. After that, while waiting for my next posting, I was a GD officer and you know what: … I was the young 2Lt they sent to take over your beloved Mandai camp. It was brand new and empty. I was given a big box of keys and told to fit the right keys into every door and after that to pass the keys to the respective company commander. We moved in and I was posted to Plant Company. 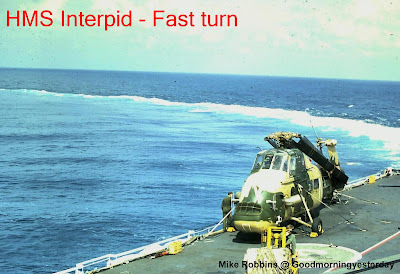 Later on, I was posted to 35 SCE as Plant Officer and after ROD, continued my love affair with the beautiful houses left behind by the British, facilitated by 13 years reservist training reporting back to RETC. I remember the Yacht Club and the jetty and the big hangars that housed my heavy plants. And also the Officers Mess, where I had a big room to myself. I would give up a lot to go back to 1973 in Seletar Base. In the mid 1990’s, I went back again to Seletar Base, this time with my wife, to learn to play golf in the Seletar Base Golf Course. The road names of Lambeth Walk, Edgeware Avenue are very familiar. Even today with so many beautiful houses torn down (together with the SBGC clubhouse) to make way for the Aerospace Park, I still drive through sometimes, but all I get is a lot of heart aches. They have this highway that runs right through the golf clubhouse! In 1972, when I drove through the main gates, the sentry would salute me. Even in the 1990s when we played golf inside there, we had to show our pass. Today the guardroom is deserted and forlorn-looking. Thanks for reading my email. I am now 61 years old. All I have of Seletar is a lot of fond memories of a bygone era and place. 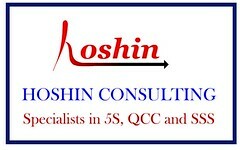 Thank you so much for your blog once again. 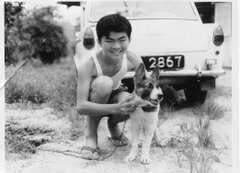 Lta Wong Peng Keong, Plant Officer (1973 ), 35 SCE. Here’s another old photo from my good friend Stephen Lai. 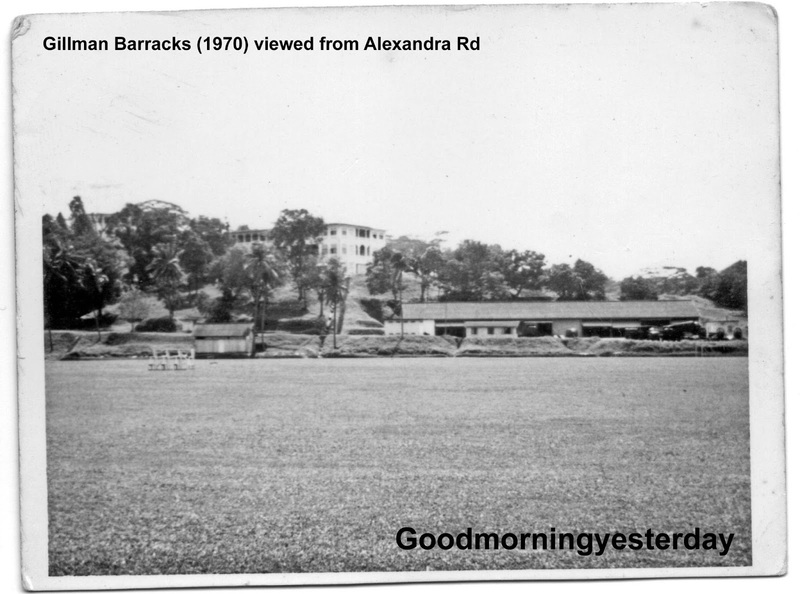 Taken around 1969/70, it shows Gillman Barracks viewed from Alexandra Rd. When holiday-makers are asked to rate their Bangkok experiences, it’s somewhere between “excellent” and “exceptional”, depending on what brought them to Bangkok in the first place. 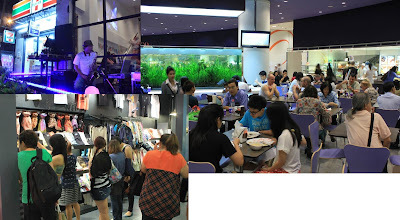 Though there are many different ways to look at a Bangkok trip, most of us associate Bangkok with eating, shopping, clubbing and “sextertainment”. Photo 1: Visitors to Bangkok doing the usual way. If you are thinking of just MBK/Chatuchak Market, there are better ones in Bangkok. When you tell others that it is a Bangkok historical and heritage trip, it brings out blank looks. Even worse when one speaks about doing a Bangkok walking tour, it usually conjures images of temples, parks & gardens, shrines, palaces, traditional crafts, floating markets, museums, Chinatown and cultural shows led by tour guides who have the authority and insights on the subject(s). 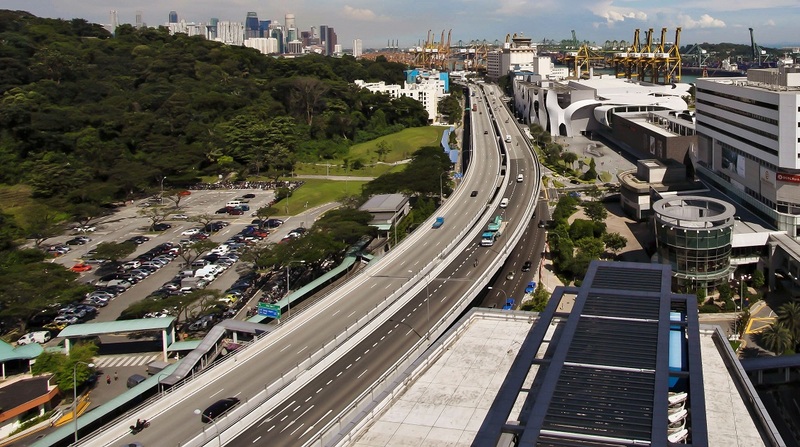 But walking is not something one can associate with travelling Singaporeans because their preference have been always longing for air-conditioned buses and taxis with occasional stops at places of interest. By doing it that way, there are many things one can miss. Let me use the F1 street circuit as an introduction to the history/heritage of Bangkok. Though I have walked these parts several times over many years, I never had to stitch the parts together like what I am about to illustrate. Instead of using modern-day photographs, I will revert to those archaic 1940s black-white to give the “authentic look”. 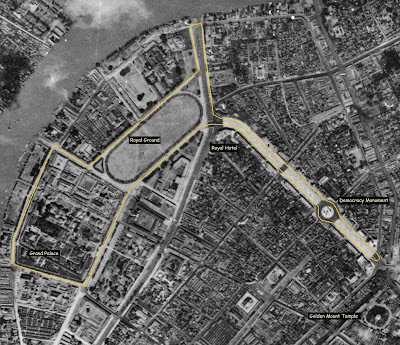 Photo 2: Proposed F1 Grand Prix street circuit in Bangkok. 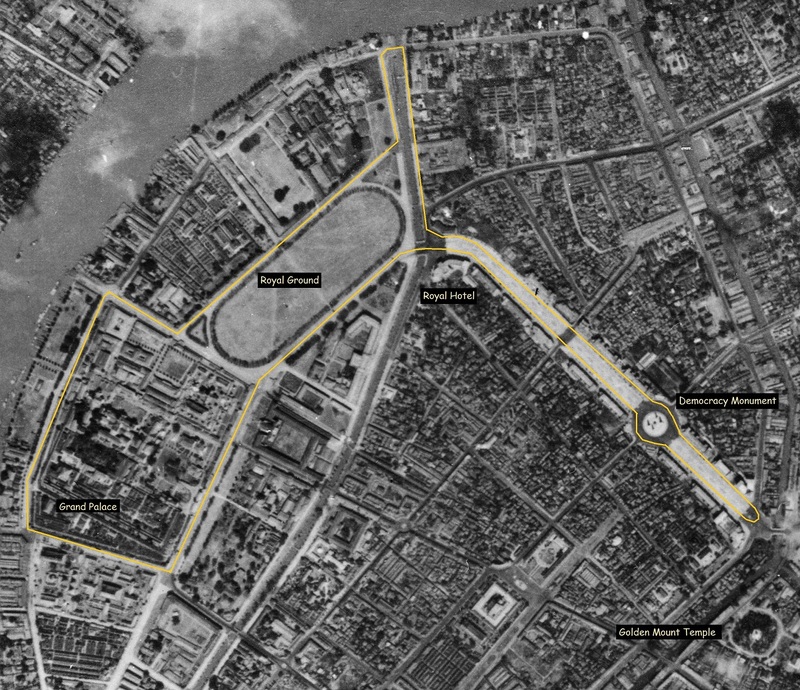 The beige line indicates the proposed street circuit. 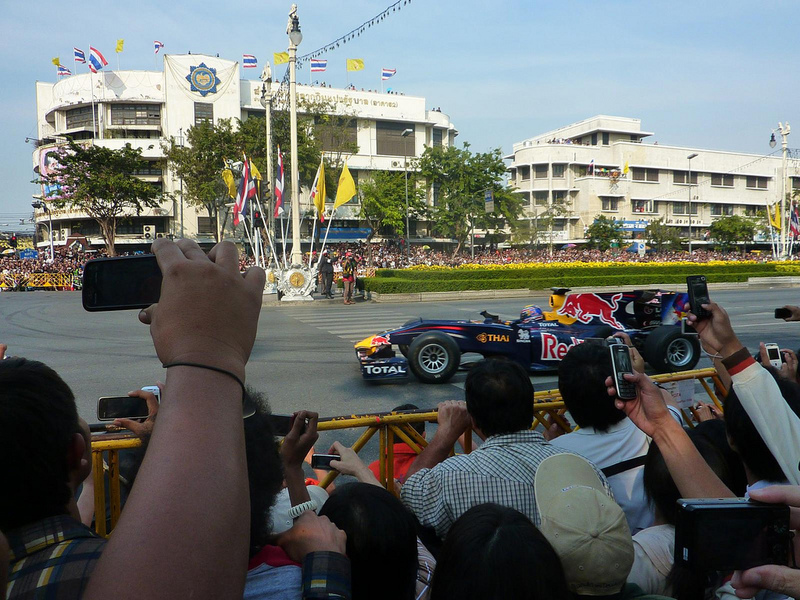 Recently Bangkok came into the news that she will host the night F1 Grand Prix in 2015. The race will be on the Bangkok streets, the second in Asia after Singapore but what makes the Bangkok street race a novelty is the skyline. Singapore’s street circuit has the backdrop of modern CBD office skyscrapers and few historical landmarks in the Civic District. Contrast this to Bangkok which offers historical landmarks almost everywhere and at every corner. Photo 3: On Ratchadamnoen Road. Is that Sebastian Vettel or Mark Webber in a Team RED BULL? RED BULL thrills the Bangkok crowd with sudden hard braking and thick bellowing smoke from burning tyres. The street circuit would take up the following roads: Ratchadamnoen Klang Road – Ratchadamnoen Nai Road – Thawang Road – Maharat Road – Na Phralan Road – Rachini Road – Chaofa Road and back into Ratchadamnoen Road. On this street circuit, there are two clear definitive timelines of history and heritage in architectural designs; the first built around the time when the monarchy system was ruling Siam, and the second when a new civilian government took over after the 1932 Revolution. The Rattankosin District has buildings with ornate roofs and intricate eaves commonly associated with traditional Thai architecture. It is a symbol of the monarchy system. Ratchadamnoen Klang Road projects the modern 1940s Modern Style blocks with no wall engravings and spires, a somewhat reflection of a less hierarchical society immediately after the abolition of absolute monarchy. To see and get a sense of perspective takes up to 2 days of street walking. Not to worry, there are sidewalk bistros, MacDonald, Thai fine dining restaurants, street hawkers, parks and benches along the way. This means you can seat in heavenly coolness of a café, fiddle with your tablet PC one moment, and the next time you are back under the sun. One good point, Bangkok’s humidity is less brutal than Singapore. 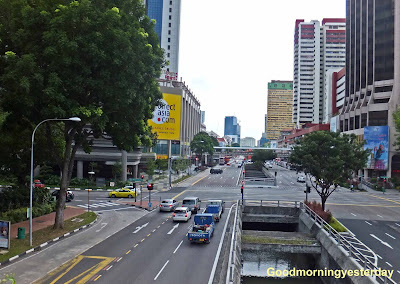 Photo 4: Ratchatdamneon Klang Road towards the Golden Mount Temple area. This is Bangkok’s Champ Elysees. The area has also seen three major political upheavals from 1973 – 1992. At the bottom you see a khlong which offers Bangkok’s favourite water-boat taxis. Between the khlong and road is Fort Mahakan. Photo 5: View from Chao Phraya River. The royal capital city was located in the Rattanakosin District after its move in 1782 from Thonburi in the west across the Chao Phraya River to the east. It was the seat of government and the Royal Family until the abolition of absolute monarchy. The Royal Hotel is rumoured to have many ghostly tales because of the student unrests in the 1970s. Photo 6: View towards Chao Phraya River. The Rattanakosin District flanked by the Chao Phraya River on one side, the future Kaosan Road backpackers haven [top right] and Wat Pho [bottom left]. 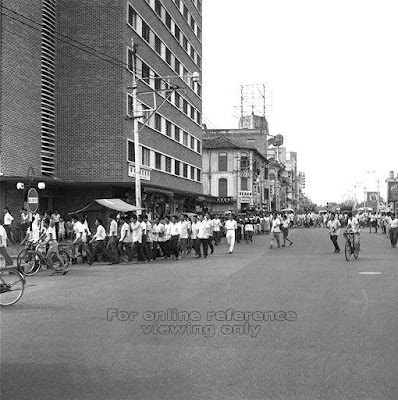 Previously the District was occupied by the Chinese community who relocated further south to the Yaowarat (Chinatown) area. 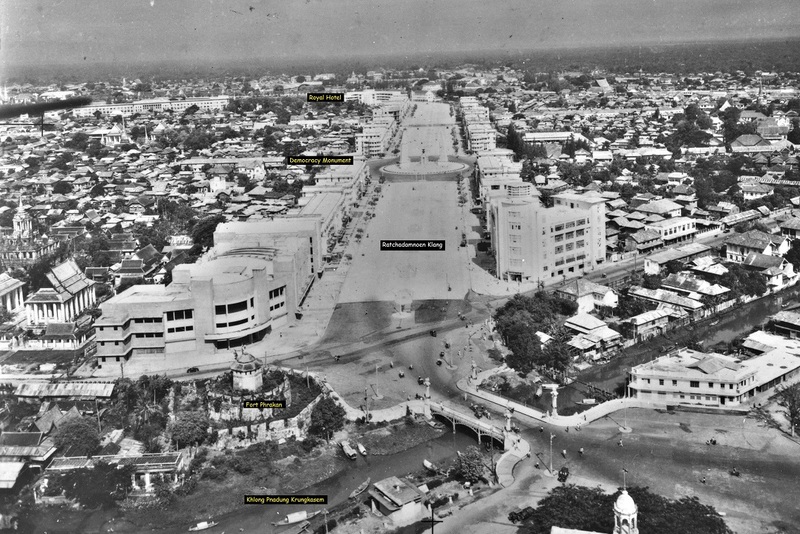 Notice that the Somdet Phra Pin Khao Bridge across the Chao Phraya River was not built then. Across the Chao Phraya River from the Thammasat University (the second oldest university in Thailand) is Thonburi Railway Station. That many of the buildings you see in the above photos are still here is testimony to the efforts of the Fine Arts Department which regulates the protection of 6,400 historical monuments/buildings. 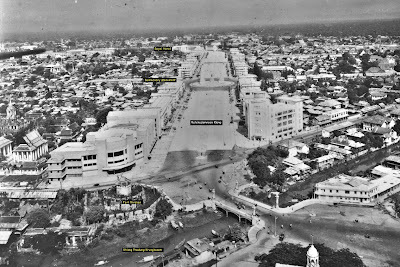 We have the Ministry of Defense Building, Supreme Court, Royal Hotel, Memorial Bridge and Fort Mahakan as some examples. Finally, it is not inconceivable what Hamilton, Alonso or Button would see when each of them looks up at the Bangkok skyline. Maybe next time we talk about where the drivers could have some clean fun? Photo 7: Bangkok Nights in and around the proposed F1 GP street circuit. 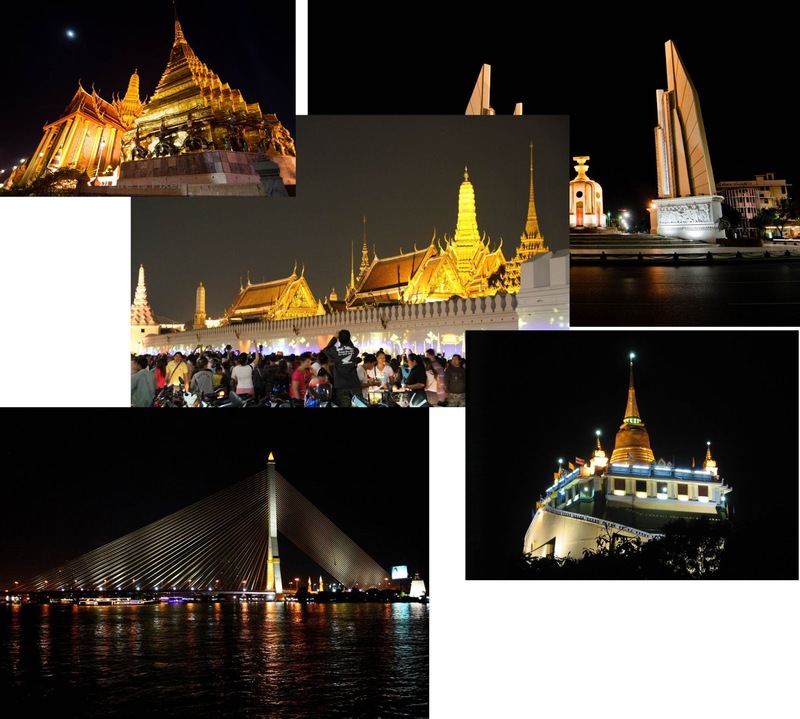 [From left clockwise – Grand Palace, Democracy Monument, Golden Mount Temple, Rama 7 Bridge and Emerald Buddha Temple]. Mike Robbins, like John Harper and Brian Mitchell, is one of those people I call “my new old friends”. 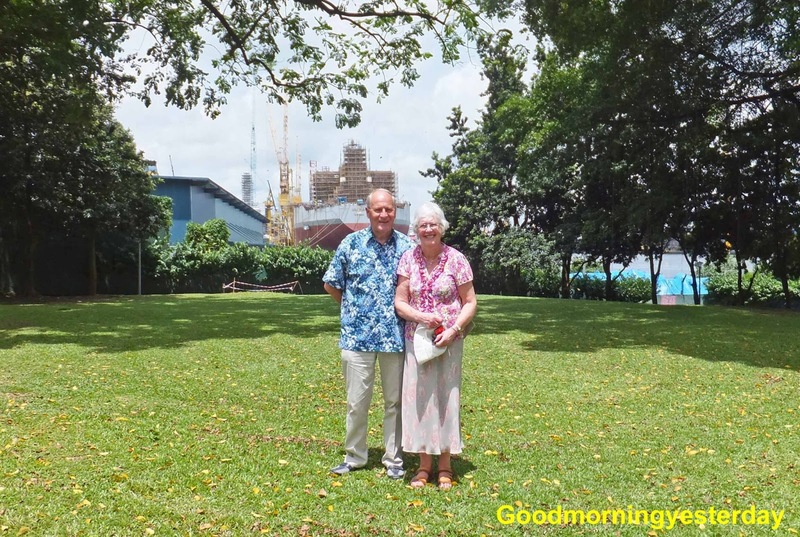 They are like ‘old friends’ because, through their stories shared on this blog, of their time spent in Singapore all those long years ago, I seem to have known them for a long time. And new because I only just got to meet them face-to-face for the first time when they visited Singapore. 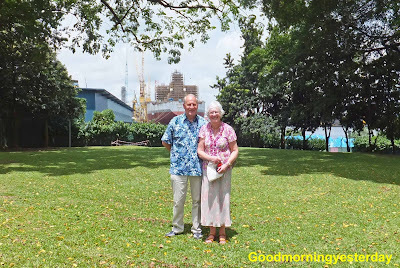 Last month, Mike and his wife Flora was in Singapore for a brief visit, and I took them to see some of the places that he used to know during his time here in the 1960s when he was working at the Naval Base. Unfortunately, due to time constraint, we could only do what the Chinese call, 走马观花, or viewing flowers from a galloping horse. 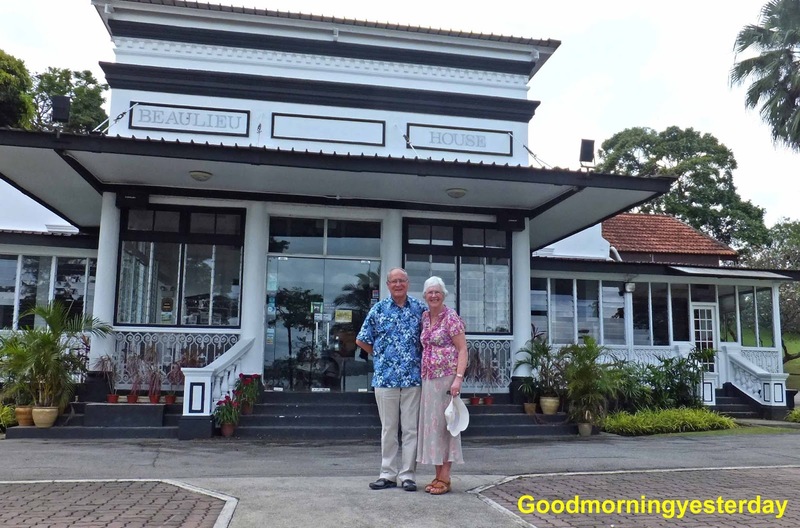 Our first stop was the former Chequers Hotel at Thomson Road near the former Police Academy. The last time I visited this place, it was home to the Europa Country Club. Unfortunately this turned out to be a disappointment because the entire area was fenced off and we could not even go through the main entrance at the road. 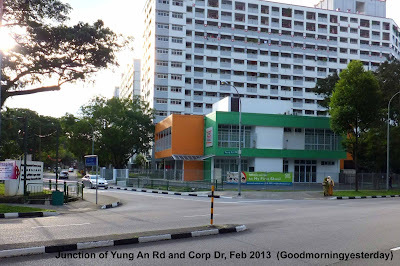 Our next stop was the Old Upper Thomson Road where Mike had travelled often. 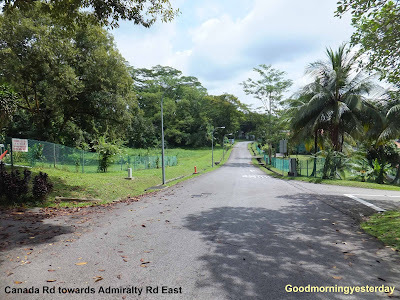 The road was quiet as it was a weekday morning and we saw many monkeys and even a monitor lizard by the roadside. The sight of the monkeys brought back many memories for Mike and Flora. I guess their kids must have had great time with these creatures. The highlight of our tour was Mike and Flora’s home in Sudan Road. 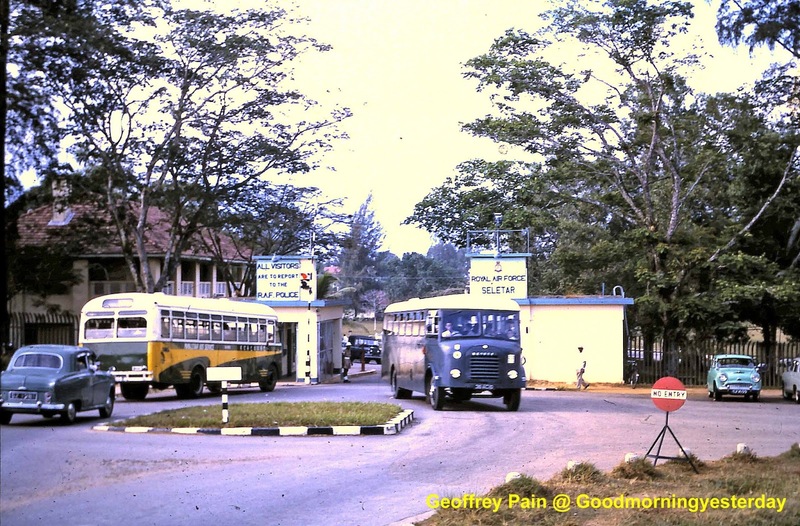 I did not consult any map … simply drove around the estate which had many interesting road names like Ottawa Road, Kenya Road and Bermuda Road; places that are still part of the British Commonwealth of Nations. After driving around a bit, we stumbled upon Mike and Flora’s house at 823 Sudan Road. I think this must be the shortest road in Singapore. 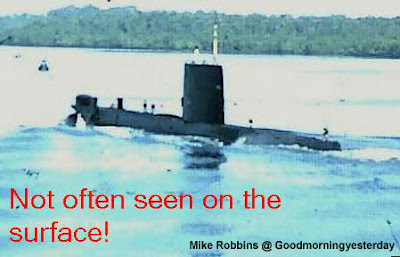 It’s probably less than 100m in length. We walked around a bit to study the place, and the Robbins were disappointed that they could not see their big rambutan tree. 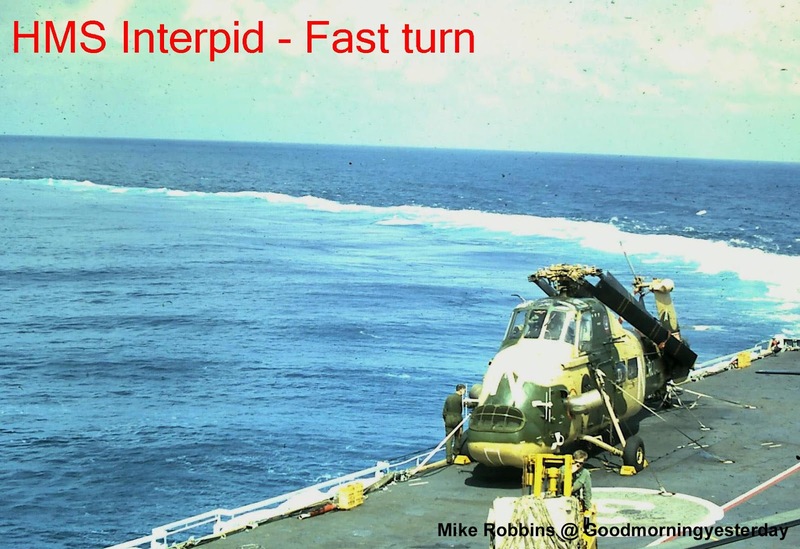 I asked Mike if he could recall the route that he took to get to his office at the Naval Base. After a bit of driving around, he managed to figure it out. 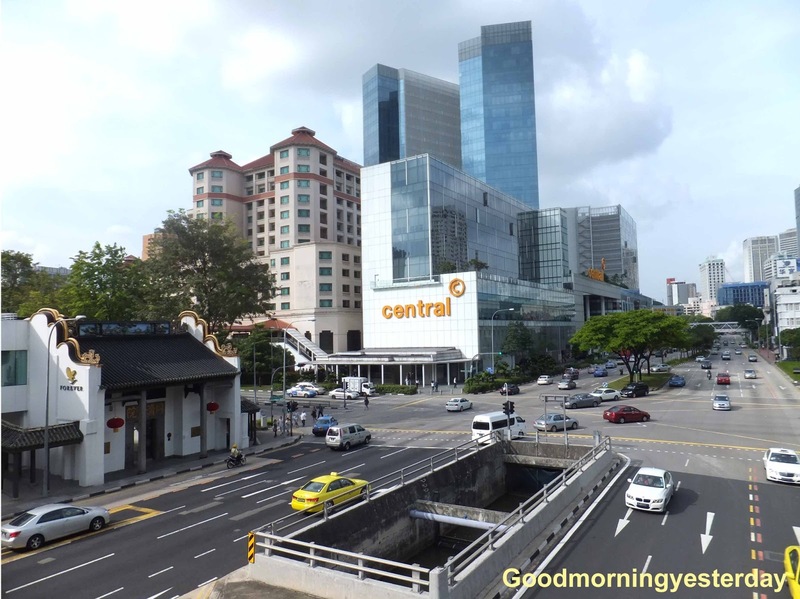 It was a short ride actually, straight down Canada Road towards Admiralty Road East. Our next stop was the Sembawang Park where we caught a glimpse of the Mike’s former Stores Basin. After that we drove around a little before proceeding to the Kranji War Memorial for a brief stop. And then it was off to lunch at the Woodlands Civic Centre. Our final stop was the Alexandra Hospital where two of the Robbins children were born. At that time, it was known as the British Military Hospital. Finally, it was time to say goodbye to my new old friend, Mike Robbins. God willing, we may meet again when I visit the UK; where I plan to catch up with my other new old friends like John Harper, Brian Mitchell and Tom Brown. 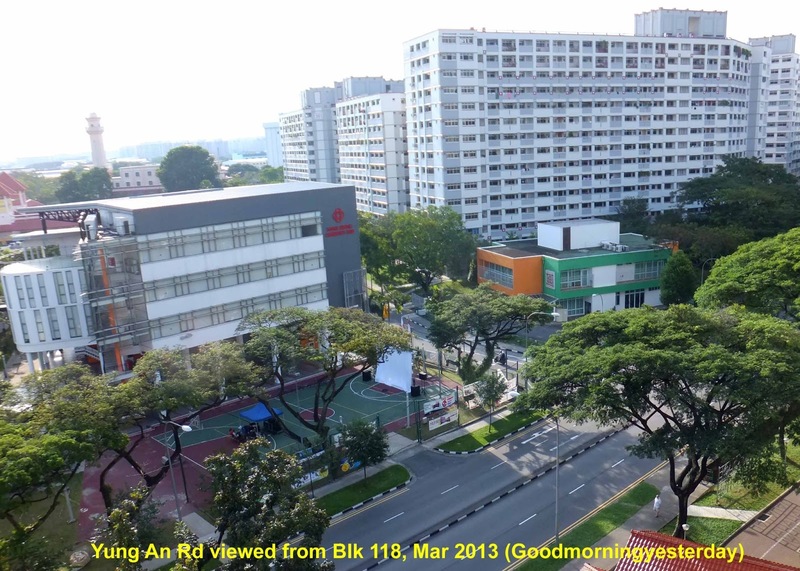 Here are some seldom-seen photos that Mike wants to share with my fellow Singaporeans. I could not think of a good answer until I took some clues from a stack of old photographs about Jardine Steps, a name much better known to many British military servicemen and international tourists from ocean-liners that berthed here. Twenty years ago, the stretch from Keppel Road to Teluk Blangah Road was very unsightly; being a container port, there were many giant cranes and container trucks. Going further back in time, the sight was boring because the waterfront was dotted with warehouses, docks and ship-repairing activities. Teluk Blangah Road only assumed a more commercial outlook after the World Trade Center (WTC) was built by the Port of Singapore Authority (PSA). The WTC was modeled after its American namesake in New York. WTC had a special members club at one corner of the building on the top floor. It was a privilege to be an invited guest. 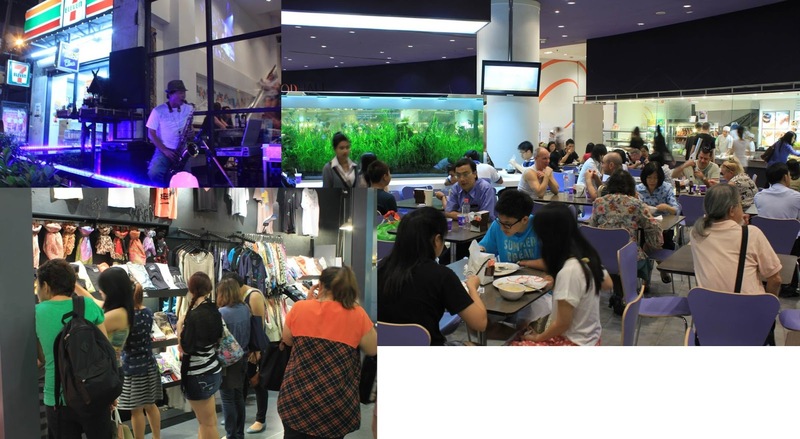 When Singapore hosted big Meetings, Incentives, Conventions and Exhibitions (MICE) events, there were none available like what we have today at Marina Sands, SUNTEC City or at the Singapore Expo. 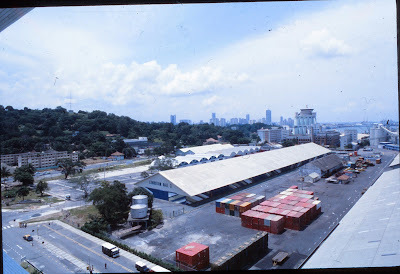 The only place with “column-free” space was at Jardine Step where original warehouses (then called exhibition halls) were refurbished and additional ones built. For some of us we might remember the popular international orchid shows were held at Gay World Stadium, trade fairs at Kallang Park and the Great World Amusement Park. In 1987, Singapore hosted the world-renowned Miss Universe Pageant. The event was held at one of the “exhibition halls”. More memories kept flowing once you can recall the Miss Universe Pageant. It was an international beauty show televised “live” on national television and beamed to the rest of the world. Whilst Singapore saw it “live” during daylight hours, the rest of the world saw Singapore in the night. James Tann vividly recalled it was held at Exhibition Hall 3 because he was one of the ushers. Wanting to have a close-up look at the beauties, I took leave from the office but for those who had to work, many had to turn to the company’s audio-video room or the canteens. I felt somewhat awkward when I sensed a “script” to hard-sell Singapore. Just listen to the slogan “Surprising Singapore” or watch the multi-racial cultural dance show-pieces. 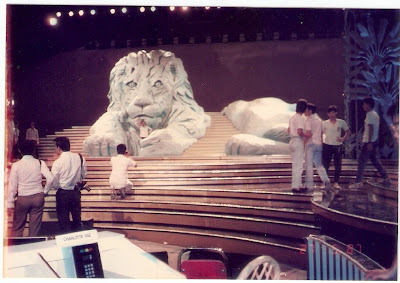 Then there was the giant sphinx-like lion at center stage to remind us of our mythical origins. How about the time when the Miss Singapore, Marion Teo, was asked by the American MC what she would tell the world about Singapore? The event proper began with sixty-eight beauties dressed in national costumes descending the two staircases singing the theme song from the pop group Wang Chung, "Let's go, baby, let's go, baby...come on! !...a party all over the world!!" Each time you tuned into the English radio station, that song was surely the one you often hear. When you drive, you tap your feet or your hands on the steering wheel. The Parade of Nations follows with quite a few memorable costumes but already bookies were placing bets that one of the Latinos from Miss Venezuela, Miss Colombia, Miss Chile, Miss Paraguay or Miss Puerto Rico could be crowned as the winner. Asia’s best bet was Ms. Philippines. How did the bookies and the guys come to the conclusion? Are you aware that the demographics of the Miss Universe Pageant winners follow certain practices? Some years the winner emerges from Asia, most times from the Americas. 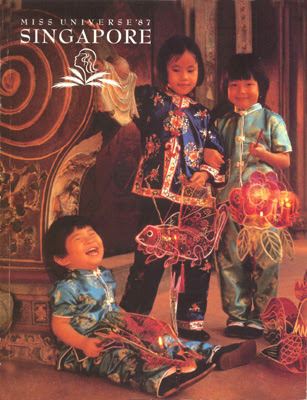 Also some years the trend is for fair-complexion and other times for chocos. We got to see the pre-recorded swim suite parades but felt the Asian beauties “lost” because of the lack of stage presence – physical height and assets. No one doubted Miss U.S.A. had a pair of solid gold which in itself was hard to beat. When Miss Singapore got to the semi-finals, we were not certain Singapore stood a chance. Reviewing the interview video clip, you can make your own conclusions. After a couple of more years of intensive use as a MICE site for computers and heavy machinery, the exhibition halls were eventually torn down and rebuilt. 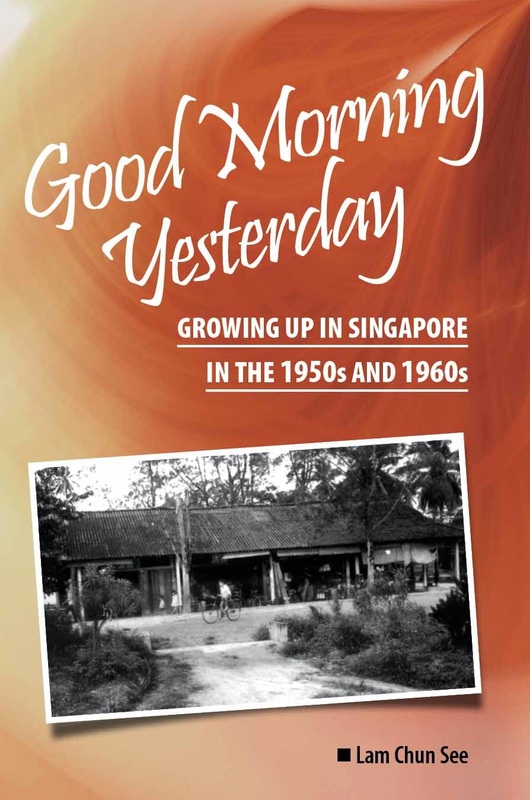 So now you have it, the story of one great event at Jardine Step before it became Vivocity. With a bit of help from Tim Light, I think we can confirm that Pastimes gave the right answer. 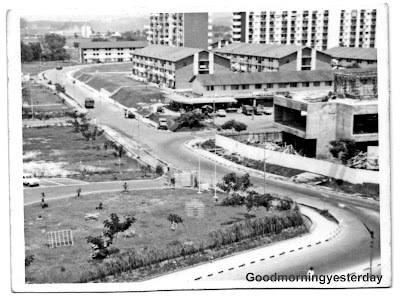 This photo is probably of New Bridge Road near the junction with Upper Pickering Street. 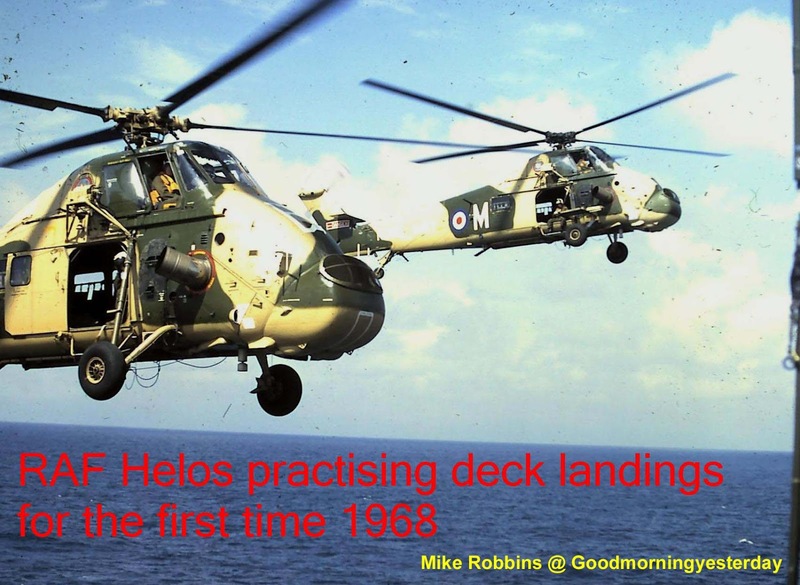 Tim has also helped me to locate a similar photo dated 19 December 1961 from the National Archives’ Picas website (Photo no. 2) which carried this description. Picture no. 3 was taken by me yesterday. I happened to be at the nearby newly-opened Chinatown Point to meet some of my course trainees. Congratulations to Pastimes. Pls email me your address; or message me at Facebook. 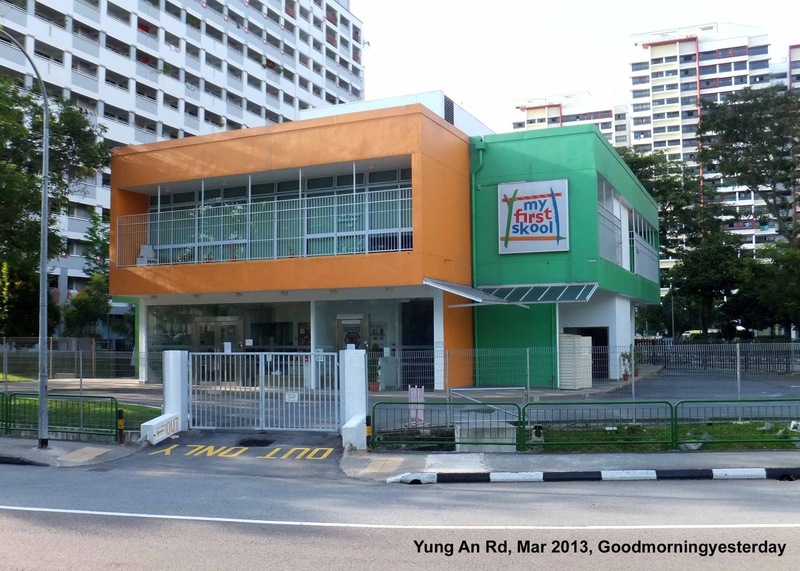 While sniffing around the Picas website, I came across a 1970 photo of the hawker centre in front of Thong Chai Medical Institution at Eu Tong Sen Street. So happens I took a similar shot yesterday and so here’s a Then and Now comparison of the same place 4 decades apart.